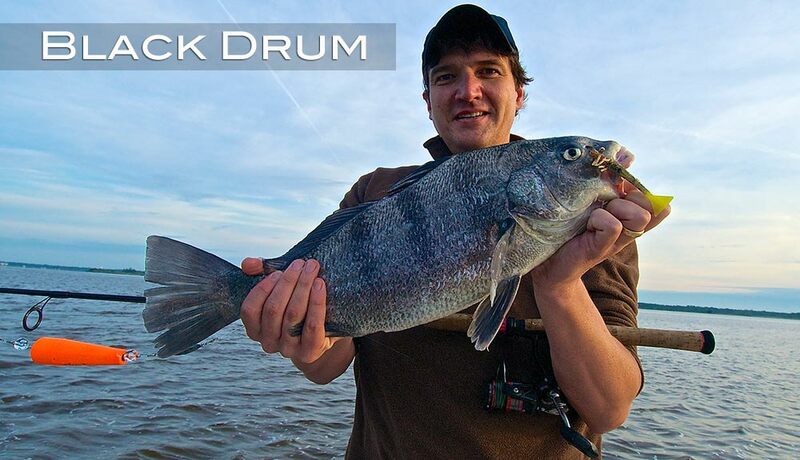 Black Drum can be caught in the Myrtle Beach area year around. Fishing over sandy and soft live bottoms in salt and brackish near natural and artificial hard structures water using shrimp, crabs, or artificial baits. Reefs, rock piles, jetties, docks, pier pilings, and bridges are good place to target black drum.